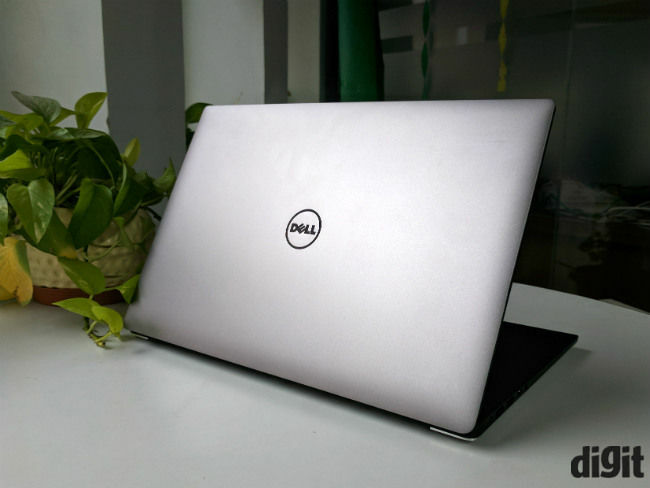 The Dell XPS 15 combines the performance of its Inspiron 7000 Gaming laptop and the elegance of its XPS 13 to form the best 15.6-inch mainstream laptop. 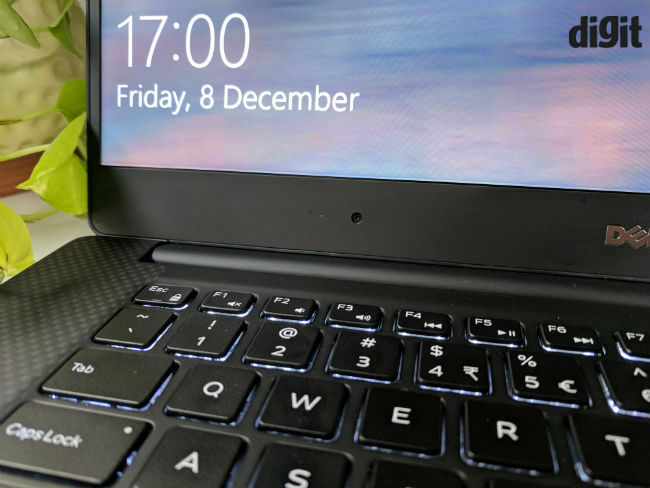 It offers the best battery life we have tested on a 2017 laptop thus far and with an imminent processor update in the near future, it is likely to become an even better laptop. What if you could stretch the Dell XPS 13 and make it bigger? I think the result would definitely look like the Dell XPS 15. Launched in February 2017, this second iteration of the XPS 15 took almost an entire year to make its way into India. Donning the same look as its smaller (sexier) cousin, this lakh plus laptop sits at the top end of the mainstream category. 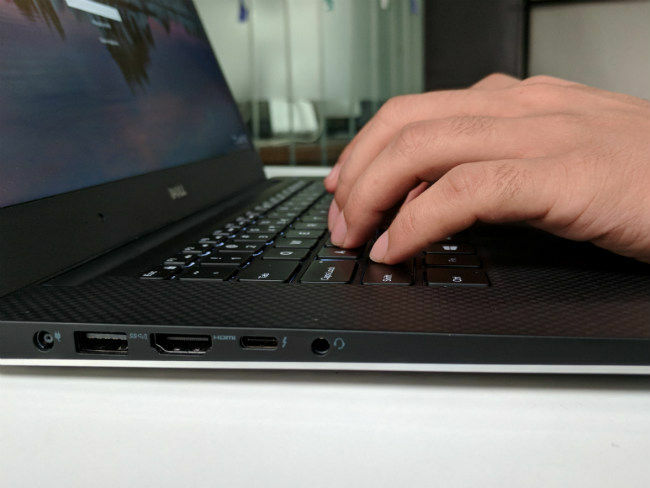 However, there is nothing mainstream about the laptop, right from the extremely good looks, to the super powerful hardware, which does mimic some entry-level gaming laptops. Everything about this laptop is chic. The question though is, is it worth the price? If we talk about thin and light laptops, after the Apple MacBook Air, the most recognizable laptop would be the Dell XPS 13. Since its launch almost half a decade ago, the lineup has seen no major design change as such and for good reason. Even this 15-inch version looks just as good as the smaller variant and feels just as premium. The design which comprises of thick aluminum panels both front and bottom are complemented by a carbon fiber hull which houses the internals as well as doubles up as the keyboard deck. It is a premium looking laptop and the choice of materials reaffirm that. I only wish that the keyboard deck could have been less of a fingerprint magnet. Talking about fingerprints, our test unit has a fingerprint scanner, which works as intended and I hope more laptops in 2018 sport a fingerprint sensor. 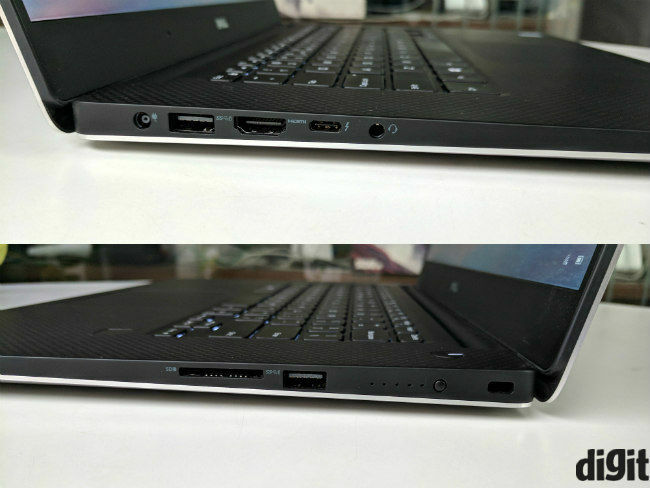 The laptop also has a good dual hinge system, which is very sturdy. A tried and tested single hinge mechanism holds the display in place. The hinge offers good resistance and can hold the display at any available angle. The display has no flex and I would be nitpicking in pointing out that the keyboard has slight flex. I also liked the fact that the rear cover can be opened easily and gives you access to the RAM and storage slots, but you can’t do so without voiding your warranty. Adding to the design is Dell’s signature Infinity display. This means that it has thin bezels around the sides and a relatively thicker bezel at the bottom. This allows the laptop to have a proper 15.6-inch display with a 16:9 aspect ratio in a 14-inch chassis. The IPS LCD here offers good color reproduction and excellent viewing angles. However, it is not perfect as the display has an affinity for subtle greenish tones. Though it won't be noticeable under normal use cases, it is something one should keep in mind if you are looking for a machine to do image or video editing work. The other thing which would put off some of you is the placement of the webcam. 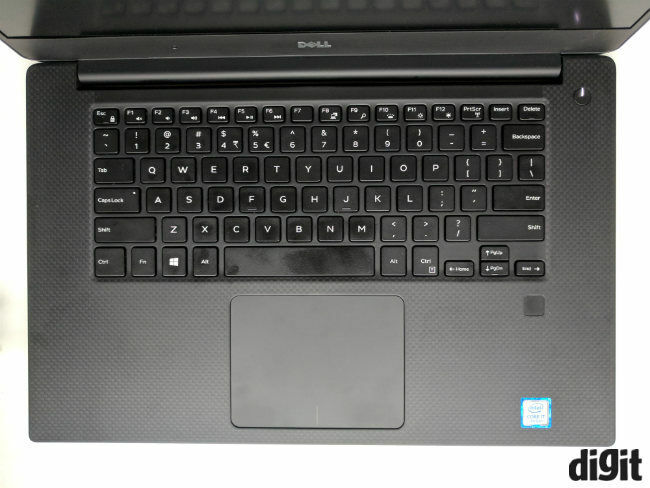 Located at the bottom left corner, the camera captures mostly the user’s nostrils instead of his face, but that has been an issue with the Dell XPS since its inception. I hope to see Dell resolve this matter in the next iteration. As for the image quality, it remains fairly reasonable (at par with the competition), but considering how mobile image technology has grown, there is huge scope for improvement. As for the I/O on this machine, it remains exactly the same as the one we have seen on previous XPS machines. There are two standard USB 3.1 ports on either side of the machine, an HDMI port, and there is an SD card slot as well. You also get a standard Thunderbolt port on the laptop, which supports video out as well as high-speed data transfer. However, Dell has confirmed that the XPS 15 does not support an external graphics unit. Adding to this is the limited yet functional selection of ports is a microphone/headphone jack combo along with a proprietary barrel power port. 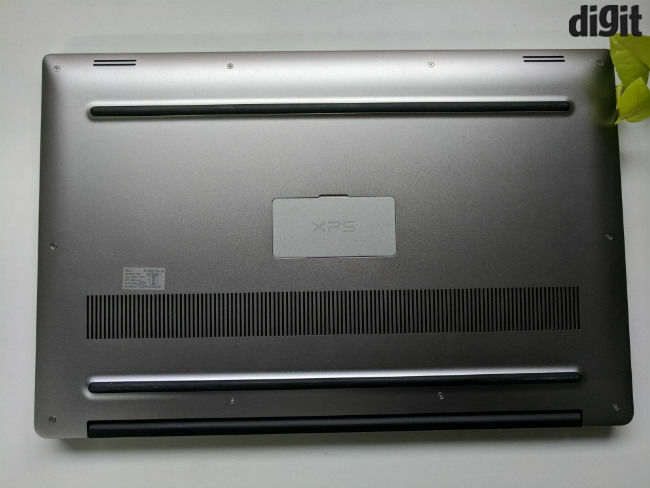 You also get the power indicator LEDs which have remained synonymous with the XPS brand since early days. 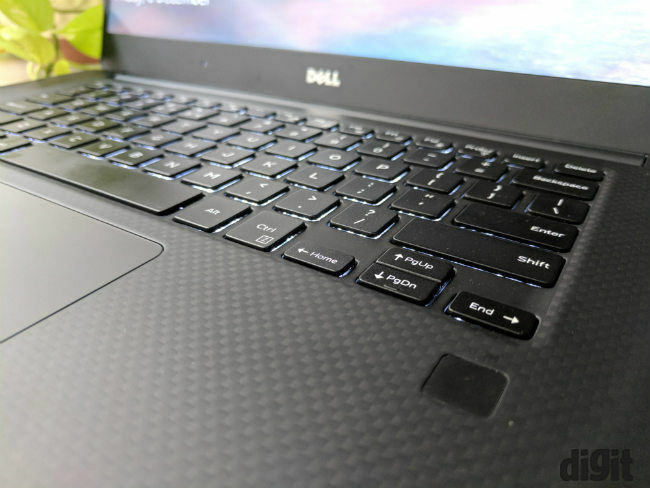 Another aspect which remains almost unchanged from previous Dell XPS laptops is the keyboard and touchpad input. The chiclet-style keyboard is spread 5mm wider than its 13-inch version, but the layout and user experience remains largely the same. The keys press down firmly and offer a dull audible feedback when pressed. If you are coming from a smaller laptop, you will take some time to get used to the pitch of the keyboard, but apart from that, there is nothing out of ordinary about the keyboard. The two-stage white backlighting is also well calibrated and is never uncomfortable even when you are typing in complete darkness. The glass touchpad on the Dell XPS has been one of the best among Windows laptops for a long time and that hasn't changed. However, with time more laptops from other OEMs have come quite close to it. In fact, the touchpad on the HP Spectre x360 (2017) is a hair better than the XPS 15. The left and right clicks on the touchpad press down with a faintly audible sound and offer a decent feedback. All Windows 10 gestures are also supported and the entire surface area supports touch input. 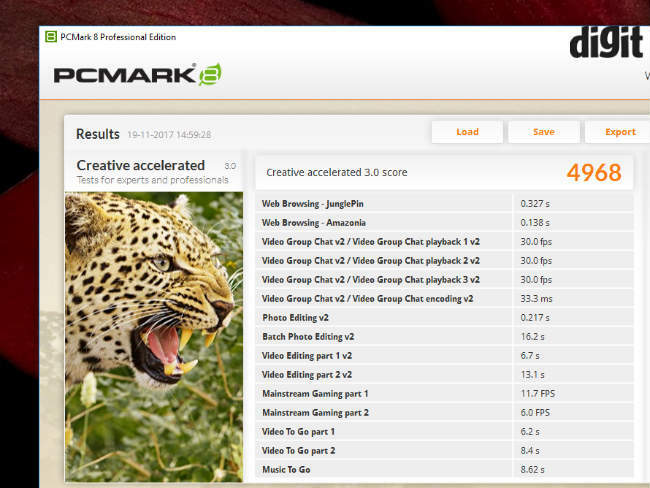 The laptop really outshines the rest of its competitors with its performance. Powered by an Intel Core i7-7700HQ and an NVIDIA GeForce GTX 1050 GPU, the Dell XPS 15 is at par with most entry-level gaming laptops today. There is plenty of RAM ( out of 16GB) free at all times, no matter what you might want to throw at it and the M.2 SSD storage on this machine is among the fastest I have seen till date. That said, the laptop offers only a 512GB SSD at an asking price of around 1.4 lakh INR, it is not what one would call suffecient. If we take a look at the performance figures, the Dell XPS 15 beats almost all competitors in the mainstream category fair and square and by a considerable margin. Whether we consider performance in synthetic benchmarks or day-to-day performance, the Dell XPS 15 paces through it all admirably. Most importantly, the GTX 1050 ensures that the XPS 15 can double up as a casual gaming laptop on the side without much hassle. All this performance is effectively supported by the remarkable cooling on the machine, which allows both the CPU and GPU to run smoothly at maximum loads with minimum throttling and low heat emissions. The laptop does not get uncomfortably hot even after long gaming sessions. Hence, you can work or play for long periods of time without any issues. Besides the well-rounded performance, the other thing which makes this machine the best among many is its battery life. The Dell XPS 15 offers a massive 97Whr battery by sacrificing the secondary HDD space for a bigger battery. This means that this 15.6-inch machine when used for normal day-to-day work, can easily go beyond 10 hours on a single charge. This puts it in a better position than almost every thin and light laptop in the market today with a 15.6-inch display. The Dell XPS 15 is an amalgamation of everything you would ever need from a mainstream laptop. 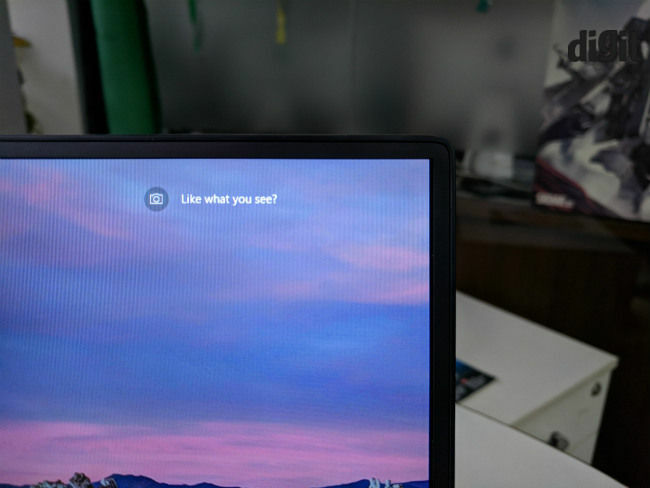 It has the performance of a gaming laptop (though battery life will take a hit when gaming), the battery life of an Ultrabook and a tried and tested industrial design. It still has some creases which need to be ironed out, but compared to any other mainstream or any other laptop in general, this is undoubtedly the king of the hill by a significant margin. At around 1.5lakh INR, it is not exactly cheap. However, its performance, build and desirable battery life does justify its price. You should be aware that Dell will inevitably update the laptop to feature the 8th gen Intel processors in 2018 which will improve the performance further.